We are offering Tea Masala to our clients. Our 100% Natural Micro encapsulated Tea Masala Flavor is primarily used for making Masala Tea premixes. It is made using natural extracts of Cardamom, Ginger, Nutmeg, Cinnamon, Black Pepper, Pepper Longhum etc. Supported ourselves with proficient amenities, we are readily instrumental in providing an inclusive Super Tea Masala. 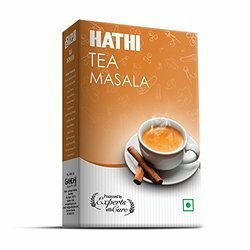 To fulfill the increasing and ever growing demands of our valued clients, we are honestly engaged in offering Tea Masala in the market. Our clients can avail this product from us at food grade packaging. Temp(Degree Celcius): 100 Degree Celcius/212 Degree fahrenheit. 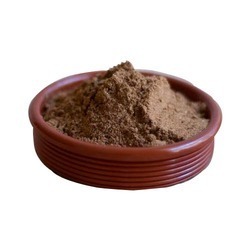 Being a leading firm in this industry, we are deeply engaged in offering a high-quality range of Tea Masala. Other Information : Rs.50 Shipping Charges Per Kg. For the most flavorsome tea, mix Girnar Tea Masala, in boiling water while making the pot of milk tea.